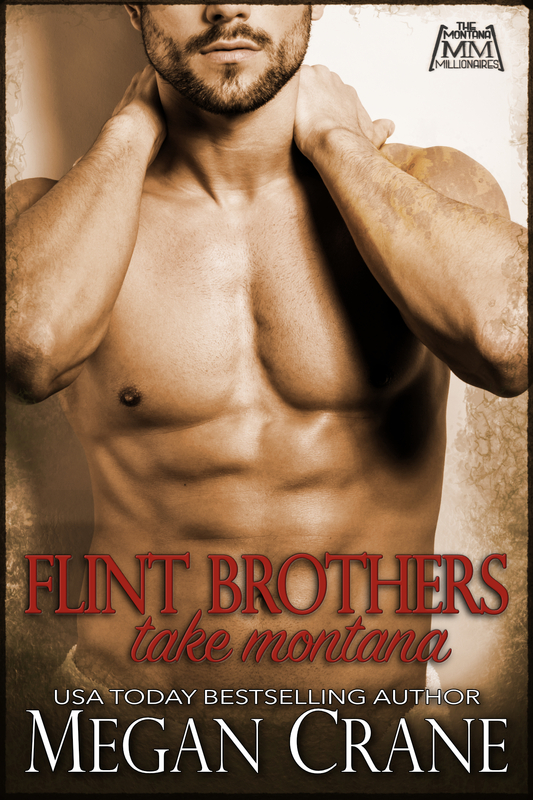 Two Texas billionaires, one Montana town…anything could happen. Chelsea Collier wants nothing more than to save the old depot built by her railway baron ancestor and turn it into a museum—until it’s sold out from under her! Jasper Flint made himself filthy rich in the Texas oil business by the age of 35. Now he wants a quieter life and building a microbrewery in Marietta, Montana is the perfect project. Neither one of them knows what to do with the passion that explodes between them. But Chelsea knows a man like Jasper will never stay in one place for too long. Can he convince her that this time, he means to stay? Gracelyn Baylee Packard got herself away from her dirt-poor Montana roots as soon as she could. Now – although she’s never actually met the man – she works in Texas for billionaire Jonah Flint. When Jonah summons her to inform her it’s her lucky day, because she’s going back with him to her home state as his guide, Gracelyn doesn’t exactly see his proposition in the same light. 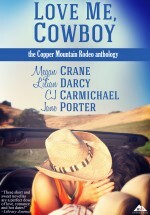 Biker Hero, Boss/Secretary, Cowboy Hero, Fake Relationship, Good Girl/Bad Boy, High Society, Meddling Relatives?, Scandal! “I make you nervous,” Jasper said. He clearly did, and that, perversely, made him feel as relaxed as if he’d just had a full body massage from someone very curvy and morally questionable. He felt lazy and something far darker, far more intent, as he studied her. “For all you know I dance naked on the tables every night of the week,” she snapped at him, and he wasn’t the only one who noticed how the word naked seemed to sit there and spin on the dark wood tabletop between them. She swallowed, hard, like she couldn’t think about anything else. He knew he couldn’t. There was something about the way strands of her blonde hair kept falling out of that twist of hers that made him… edgy. Hungry, maybe, like he wanted to reach over and pull the whole mess of it down just to see it swirl around her shoulders, thick and bright. He raised his shot glass and waited. She picked up her own shot glass and he watched her chin rise and her shoulders go back, like she was talking herself into it. “To history,” she replied, and then held her shot glass still while he gently tapped his to the side. Jasper tossed the whiskey back, then had the pleasure of watching her do the same. Her eyes watered, her face reddened. He was mocking her, and she obviously knew it. She blinked until her eyes lost that hectic glitter, then glared at him. “I love nothing more than a shot of whiskey at the end of a long school day, thank you,” she retorted. Gracelyn tipped her head back and fell into those dark gold eyes of his, and she was sure, then, that whatever happened in the next breath, in the next few moments, she wouldn’t survive it. She couldn’t possibly. And despite the fact she’d spent the whole of her life surviving anything that was thrown at her and priding herself on her ability to do it, she couldn’t seem to care that Jonah Flint was the thing that was going to finally take her down. Instead, she welcomed it. Though she didn’t want to think about the ramifications of that, not here in the moody dark with nothing but moonlight and that sweet, bright heat between them. He was like something out of a dream, standing there before her with his gaze so bright and his mouth so hard, and she couldn’t think of a single thing she’d ever wanted more than this. Than him. Especially when his eyes gleamed a bright, brilliant shade of gold she’d never seen before, and that perfect mouth of his broke into a smile. Wide. Genuine. Hers, she understood. All hers. And yet it was etched with the same need that swirled through her, making her forget all the reasons this was a terrible idea. He shifted closer, so much closer. She wished she wasn’t wearing the western-style shawl she’d thought was so cute earlier this evening. She wished that when he leaned close, his chest brushed hers instead of the soft cashmere. She wished so many things, all of them carnal and wicked and comprising her own destruction in each act. And even though she knew it, all she wanted was this. Him. “That strikes me as a solution that benefits me not at all,” she murmured, finding it hard to breathe as his hands moved to her face, as his fingers brushed over her cheekbones and then moved to her hair. He cupped her head in one palm as he tugged on her ponytail with the other and it took her a moment to realize he was pulling her hair out of its elastic. Then he was raking his fingers through the length of it as it tumbled down to her shoulders, making a low sound she couldn’t quite place. But then she did. If he’d been a cat, it would have been a purr. Jonah’s fingers sunk deep into her hair, pulling her head back like he wanted better access, and Gracelyn’s heart kicked at her, hard, as every other feeling in her body streaked into a brilliant fire and pooled between her legs. And then Jonah bent his head that last little bit and finally, finally, took her mouth with his.